WEST PLAINS, Mo. 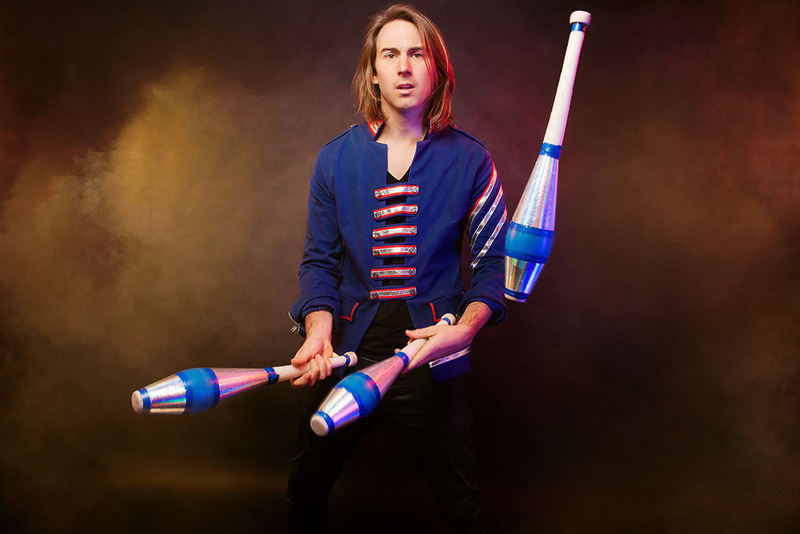 – Comedian and juggler Marcus Monroe will bring his award-winning talents to the West Plains Civic Center stage for a 7 p.m. performance Thursday, Oct. 4. Tickets for the event, sponsored by the University/Community Programs (U/CP) Department at Missouri State University-West Plains, are $10 each. They are available through the West Plains Civic Center box office, 110 St. Louis St., from 10 a.m. to 3 p.m. weekdays, or by phone at 417-256-8087. Home based in New York City, Monroe offers a high-energy show that blends innovative juggling with in-your-face comedic banter riddled with awkwardness, according to his website. He has appeared on The Late Show, HBO, MTV, Netflix and Comedy Central and recently performed at Bonnaroo, TedxBroadway and Outside Lands alongside Neil Patrick Harris. He also is a favorite among cruise lines, performing arts centers, universities and festivals. This past year, Marcus starred in the Olivier Award winning Off-Broadway and London production of La Soireé. Currently, he is touring his new one man show, “The Rise and Fall of Marcus Monroe,” which debuted to rave reviews at the 2017 Edinburgh Fringe Festival. Monroe received the Andy Kaufman Award in 2012. The award showcases promising cutting-edge artists with fresh and unconventional material who are willing to take risks with an audience and do not define themselves by the typical conventions of comedy, according to the award’s website. “Marcus’s one-man show is a New York Times Critics’ Pick, so we’re sure he will provide a fun evening of entertainment,” U/CP Director Brenda Polyard said. For more information about the event, call 417-255-7966 or visit the U/CP website.